I feel I have changed a lot over the last year or so not only with becoming a mum for the first time but figuring out a work vs. life balance that ‘works’ for me. I’ve also been finding out what I care about, what my passions are and what direction I want my future to take. Like many people I’ve been thinking a lot about these things but not taken much action to move my plans forward and that’s where I’ve got stuck. I read a really interesting article last week which was about finding passions in life and it talked about how people often go looking for their passions by travelling or having a lot of different jobs yet still not feeling fulfilled. Where as most people’s passions are actually already with them and if you think back to childhood or when you were younger you will recall what activities you enjoyed doing and always seem to come back to. For me when I thought about it I immediately thought of writing and I had a bit of a light bulb moment with why am I not blogging??? Taking that into consideration it’s not to say that I haven’t found other passions along my journey so far, yoga is definitely a big one for me, taking time to spend with Ollie during these precious early years and more recently making sure I’m using more natural products, eating cleaner and not using products by brands who test on animals. So here I am re-igniting a passion that I had let fall by the wayside and I feel very excited to get it going again. I love writing and blogging and I’ve really missed it, so I’m going to make a concerted effort to get back on track with regular posts and get my blogging mojo back into a full wordy swing. 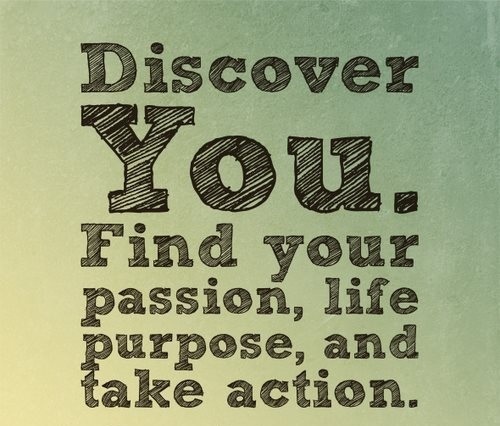 Do you struggle with finding your passion or the elusive work vs. life balance? I’ve done my first full week back at work albeit three days but the important thing is I survived. That’s not to say it wasn’t hard or that I wasn’t emotional, especially on that first morning. I should have hung a sign around my neck – don’t ask if I’m okay, I will cry! The fateful day has arrived, I am on my last day of maternity leave and due back to work tomorrow. (Casually throws up) I dropped Ollie off for his last settling in session at nursery today and was official baby free for four hours. While at certain times I have longed for an hour to myself to sleep, eat or paint my nails or generally do all those mundane things which become a ridiculous challenge once you have a baby, I do find myself lost when he’s not there and keep looking around or trying to listen out for him. One thing which I find really strange is going out without a pram, I can get places so much quicker. Knee deep in nappies and never been happier! Oliver is now 6 months old and we’re at a stage where I’m getting a bit more sleep and I’m confident in everything I’m doing with him that I can really enjoy our time together without worrying if he’s had enough milk, or sleep, or if his poo is the right colour (to all those without kids yes you really worry about this stuff, it’s crazy I know!). I’ve recently been negotiating my hours for when I go back to work and it’s now hit me that spending everyday with Ollie has an expiration date.